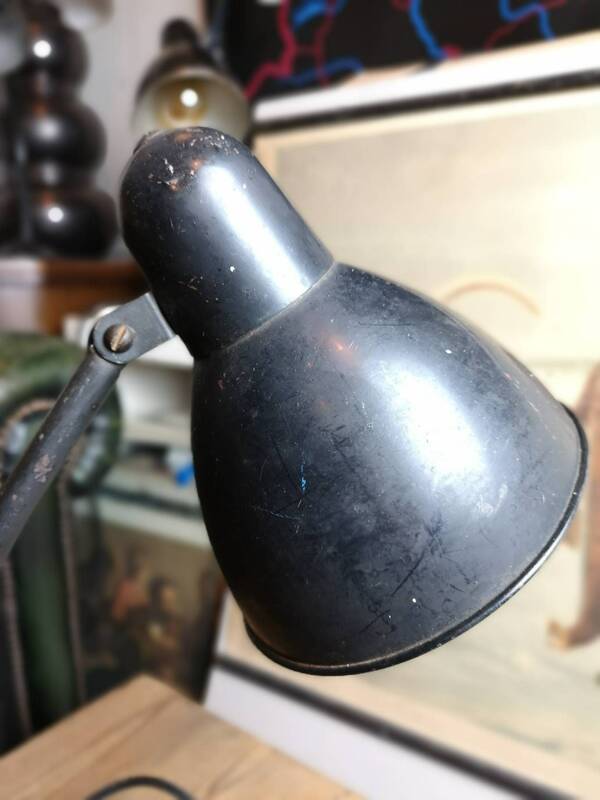 Siemens Schuckertwerke L299 1930s BAUHAUS Desk Lamp. 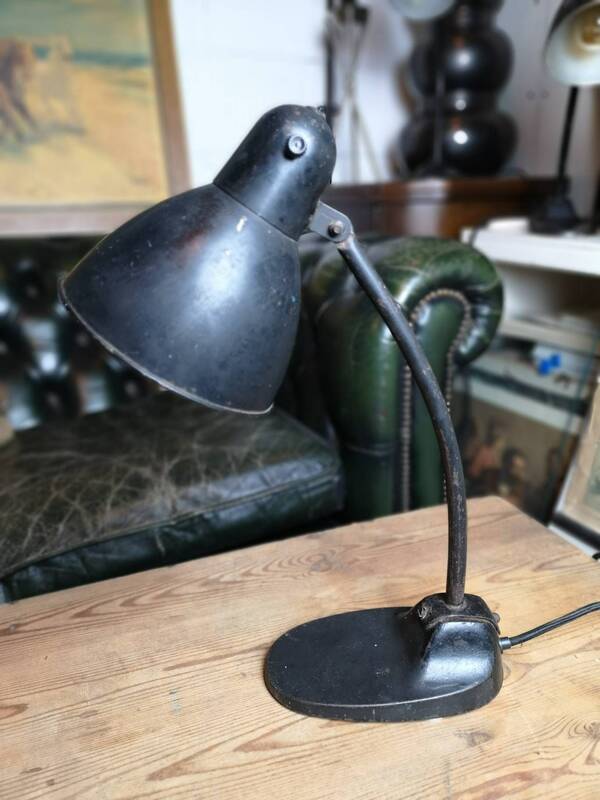 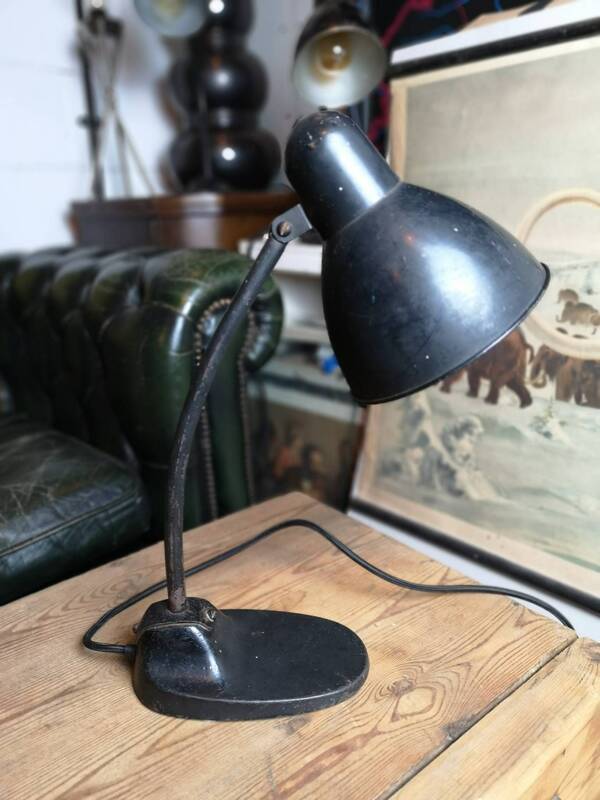 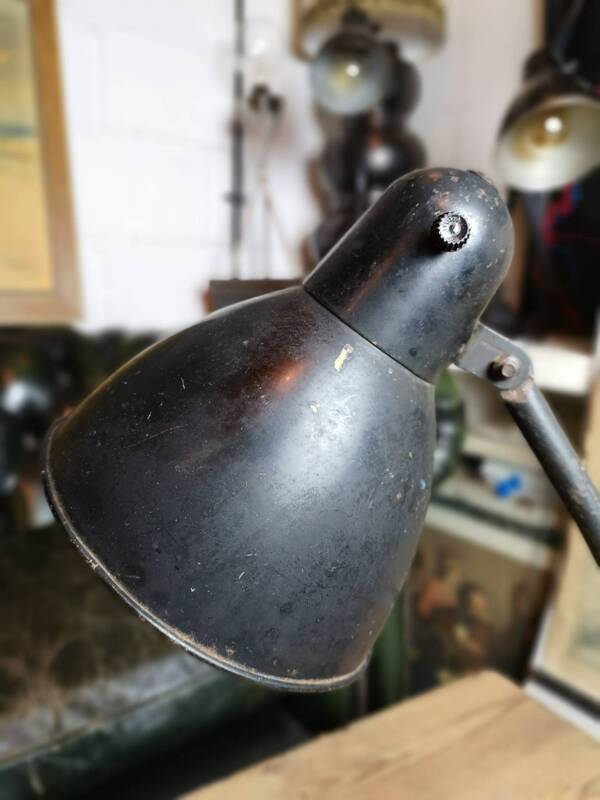 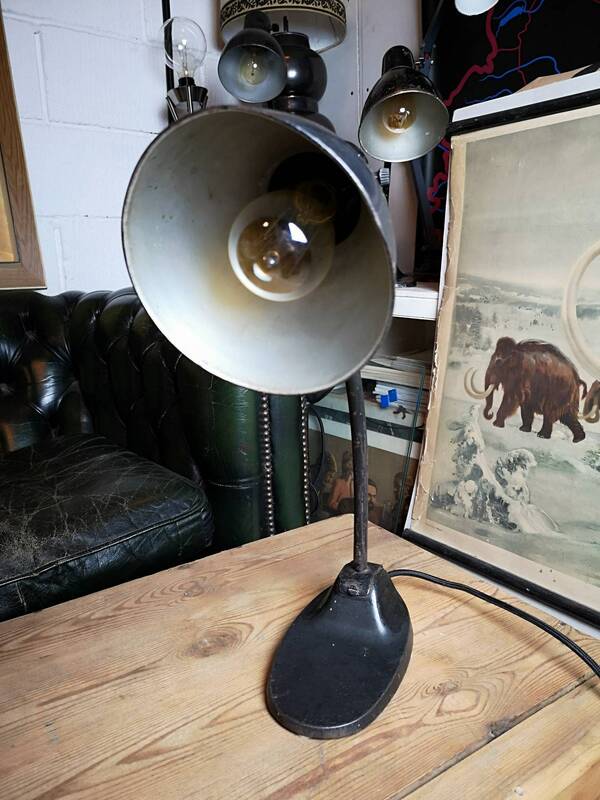 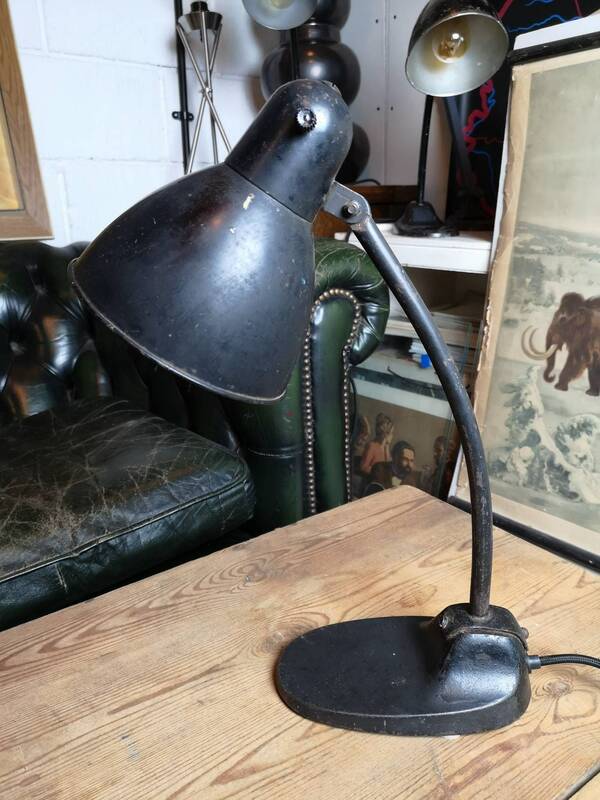 In an aged but perfect working condition, iconic shaped neck & shade with cast iron base. 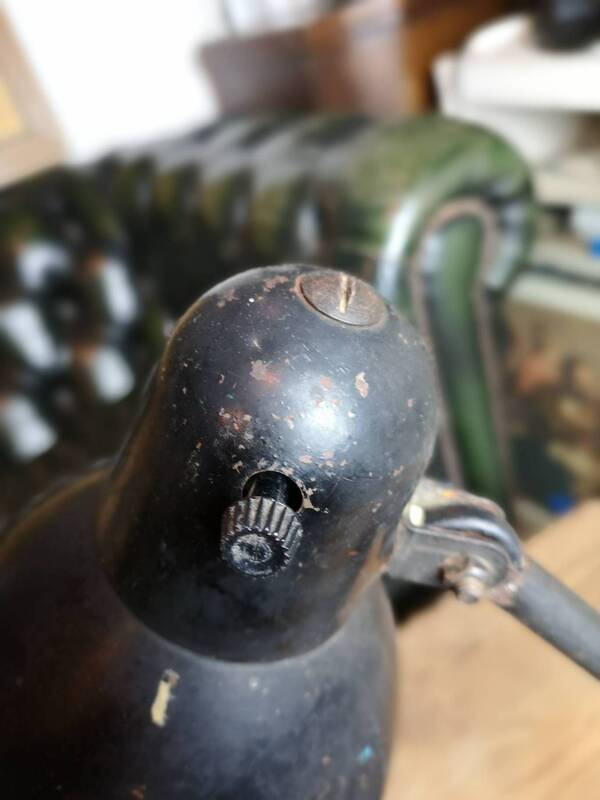 Original bakelite switch on shade still operational. 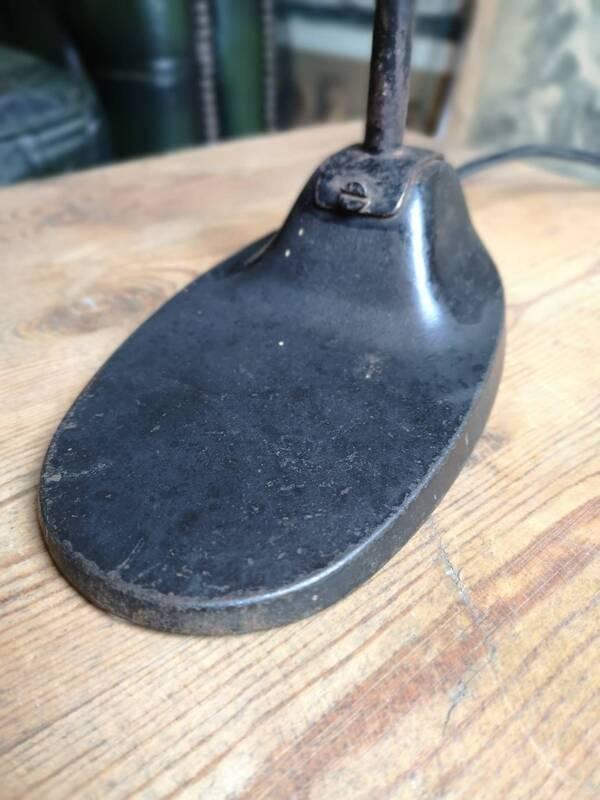 Kept as original as when we discovered it in Germany, but completely rewired with black fabric chord flex. 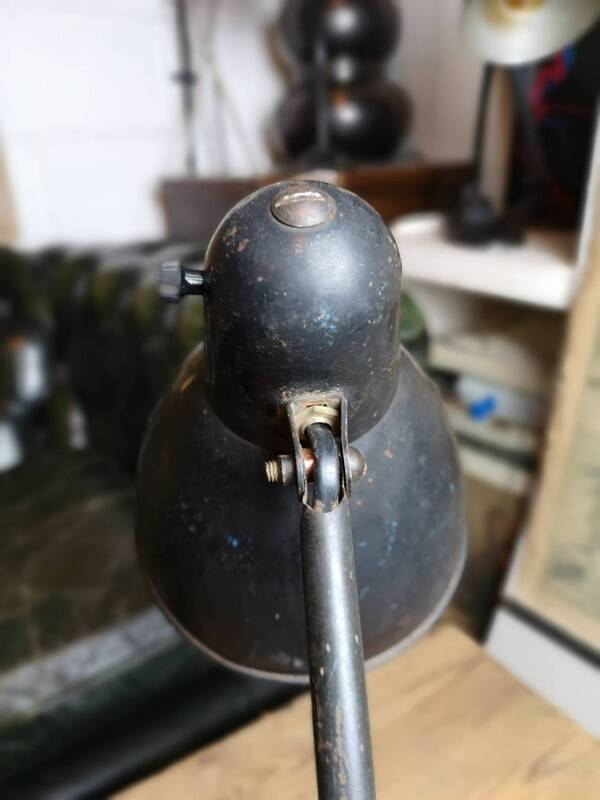 Tested safe & ready to go. 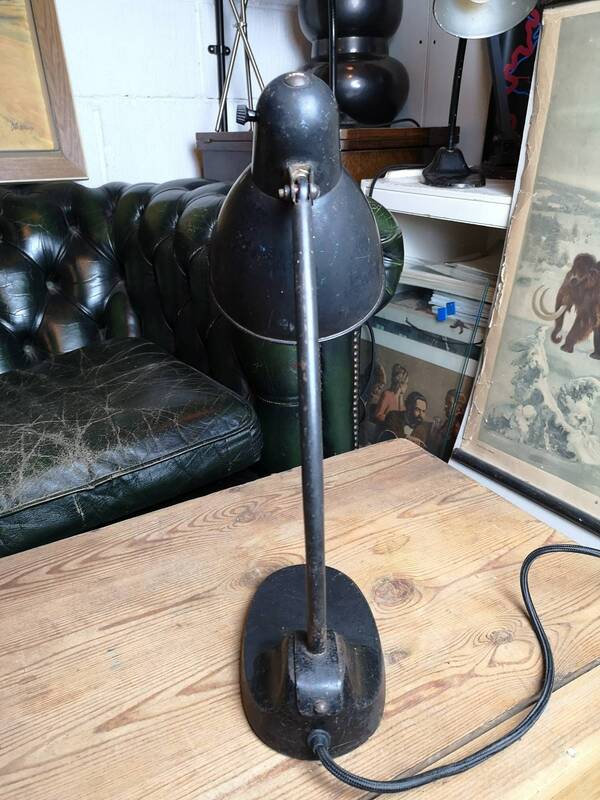 Height 43cm, Base 11cm x 20cm, Shade 15cm.